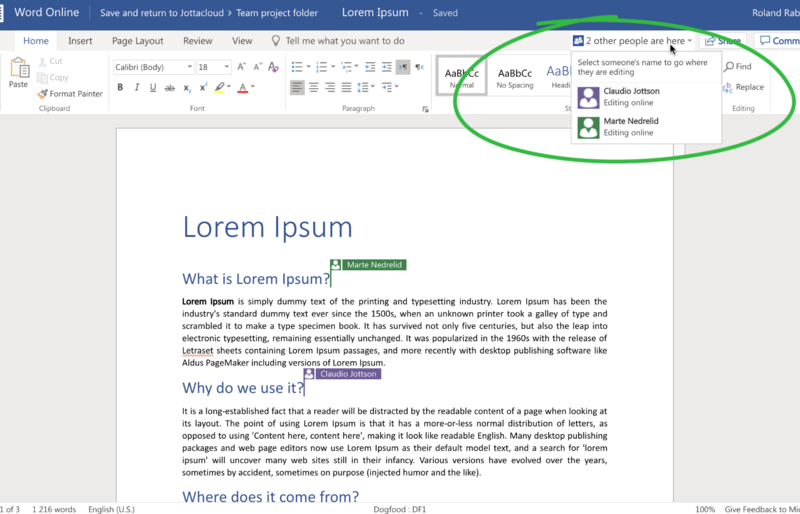 Learn how to collaborate with a team on office documents. Jottacloud supports collaborative editing of files in Microsoft Office Online. Multiple users working on the same shared documents can work together by making edits on the same document, in realtime. 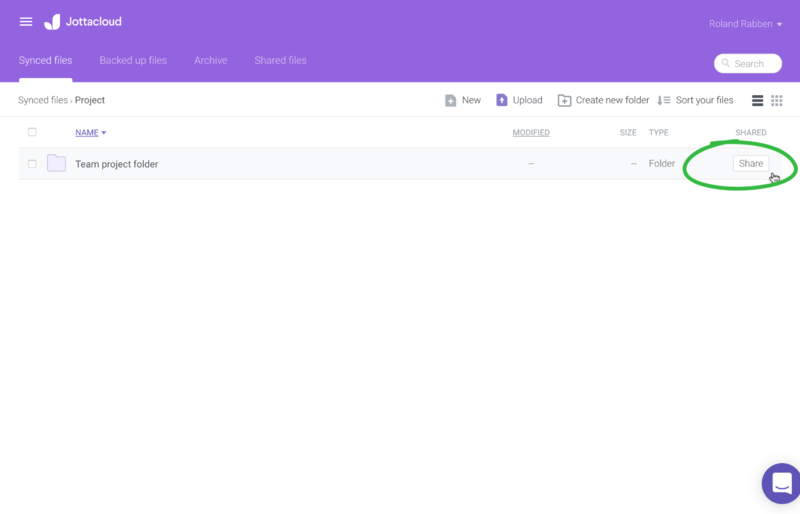 Just share the folder through Jottacloud and invite your collaborators—they’ll be able to access and edit the latest saved file, anytime and anywhere. Click the Share button on the row of the folder you want to share. 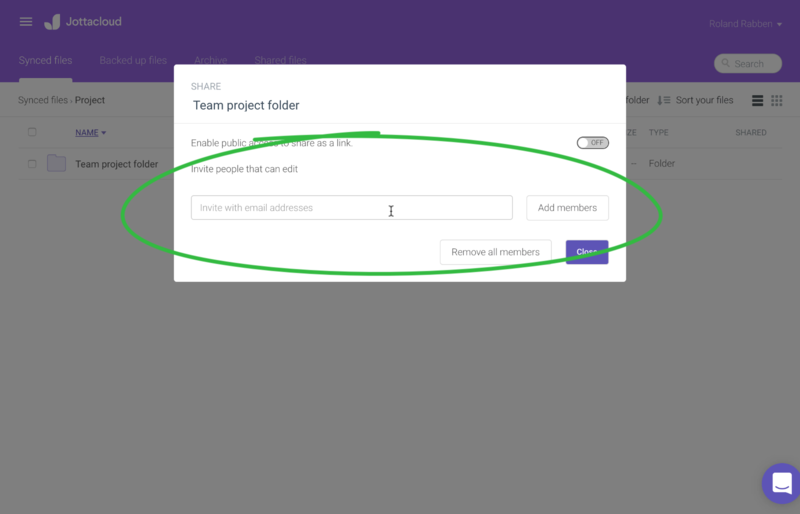 Add the email address of people you want to invite to collaborate on this folder. These users will get access to the folder content, and can edit the office documents in Office Online. 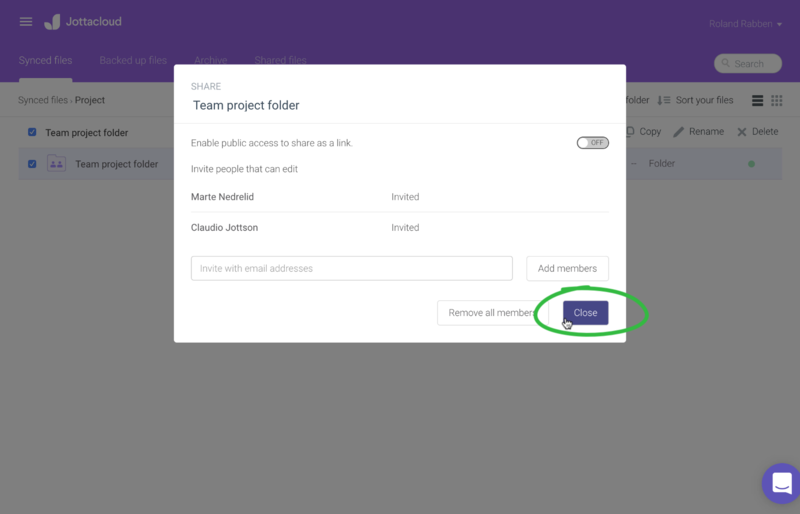 Close the sharing dialog when you are finished adding people to your folder. While editing the document in with Jottacloud, the owner and recipient can view their names displaying during the edits next to their cursor. Changes are immediately visible to all users editing the document. All changes users make in office online are saved automatically as they type. But a new version of the document in Jottacloud is only created when someone EXIT the document and return to Jottacloud.